When Dr. Shaun Casey (’79) was growing up, family conversation around the dinner table often centered on two topics: religion and politics. On July 1,2017 Casey began a new position as director of the Berkley Center for Religion, Peace and World Affairs at Georgetown University. This is the most recent step in Casey’s decades-long career of bringing together faith and government. Through his roles at Wesley Theological Seminary, the Center for American Progress and the Center for Strategic and International Studies, Casey has been able to confront issues in academic and political arenas that he believes Christians are called to address. During the Barack Obama administration, Secretary of State John Kerry invited Casey to establish the Department of Religion and Global Affairs in the U.S. State Department. Casey’s responsibilities included advising Kerry when religion cut across his portfolio – which Casey said happened on the majority of the issues – and increasing the capacity of the State Department around the world to sense religious dynamics. “Our diplomacy can be smarter if we understand how to interpret religion,” Casey said. As a student at ACU, Casey received an education providing an ideal springboard for eventually continuing his education at Harvard University’s John F. Kennedy School of Government and Harvard Divinity School. He learned to write in the journalism classes of Dr. Charlie Marler (’55), while Drs. LeMoine Lewis (’36) and Thomas Olbricht taught him how to think theologically – and encouraged him to attend Harvard for graduate school. 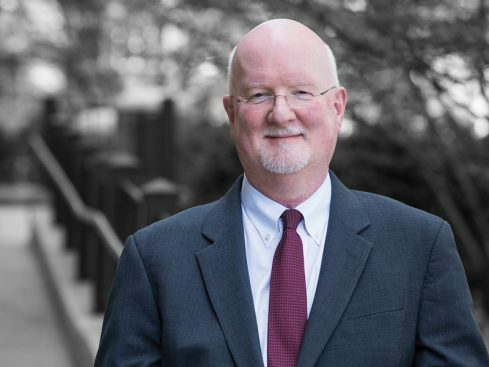 In his new position at the Berkley Center, the premiere organization of its kind in the world of religion and politics, Casey will lead a team of scholars who research and write on ethics and global affairs. “The Berkley Center wants to promote peace, train a new generation of leaders, understand poverty, promote human rights, and address global refugee crises and climate change,” he said. “We are an academic research center, but ultimately we want to effect change on the ground all around the planet. This inspires me–to see a fellow graduate of ACU at the forefront of our most critical global issues, building bridges between people in an alarmingly divided populace. We must seriously up our willingness to see the complexity and nuance within these issues and to commit to nurturing the common compassion and desire for well-being we all share. Thanks to Dr. Casey for being one of the powerful “bright lights”. And thanks to ACU for bringing his work forward with this recognition.